The news was devastating. La Palma was on fire. Images on social media showed a wall of flames lighting up the night sky. It looked like the whole island was burning. 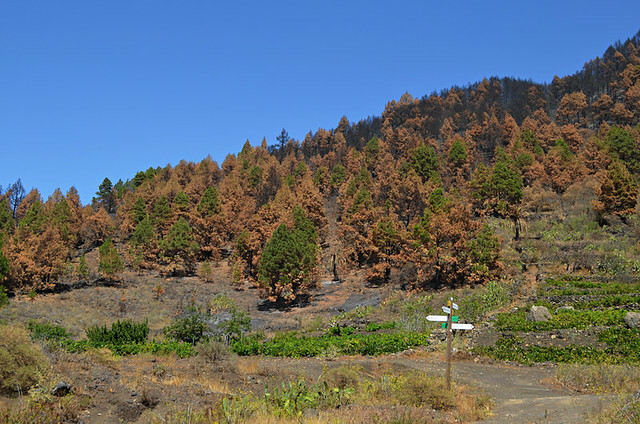 Threat of forest fires is one of downsides to summer in the Canary Islands. The slightest wisp of smoke in the hills and eyes turn to the skies seeking out the saviour, the helicopter with a bucket of water swinging underneath it. 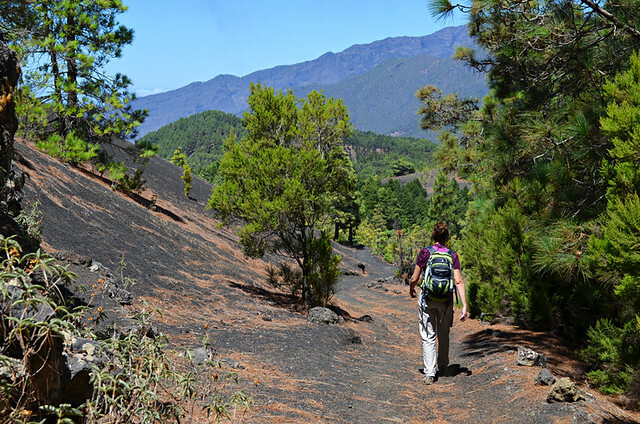 Most fires are extinguished quickly, but hot winds and tinder dry terrain in August fuelled La Palma’s. It quickly engulfed the land, spreading across 48,000 hectares. And all because of a misguided irresponsible act; the burning of used toilet paper. An ironic example where trying to be environmentally friendly when you don’t understand nature can have devastating consequences. 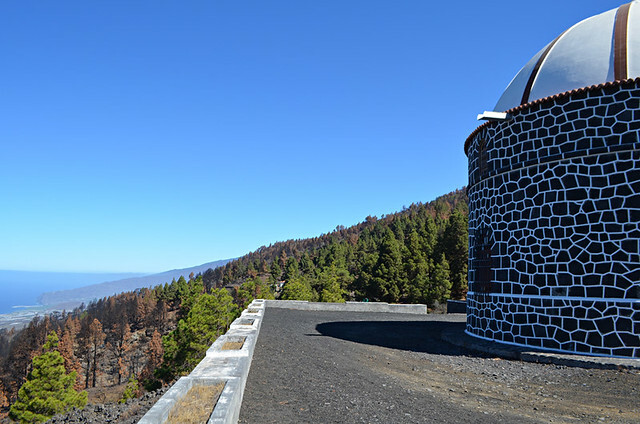 Just when it seemed La Palma’s potential in tourism terms was about to really start to bloom. 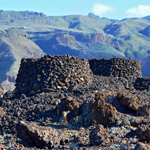 With a new easyJet route between Britain and La Palma from October 2016, the island was enjoying more and more publicity in the travel press. We were excited to be involved with the creation of a new walking holiday on La Isla Bonita for slow travel specialists Inntravel as well as enhancing an existing holiday. Enchanted by the island the first time we visited in 2004, we were particularly excited because these holidays would allow travellers to discover what we did over a decade ago, that La Palma is a special place. It has some of the qualities and sophistication of the more populated islands, yet it shares the get-away-from-it-all tranquillity of the smaller islands. It is also, as its second name suggests, a beautiful island. Thanks to superhuman efforts on the parts of firefighters and emergency services, at the tragic cost of one of their lives, fire damage wasn’t as bad as it could have been. 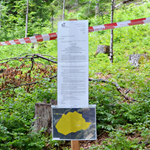 However, the fire still managed to spread from near the Valle de Aridane to Fuencaliente on the southern tip. 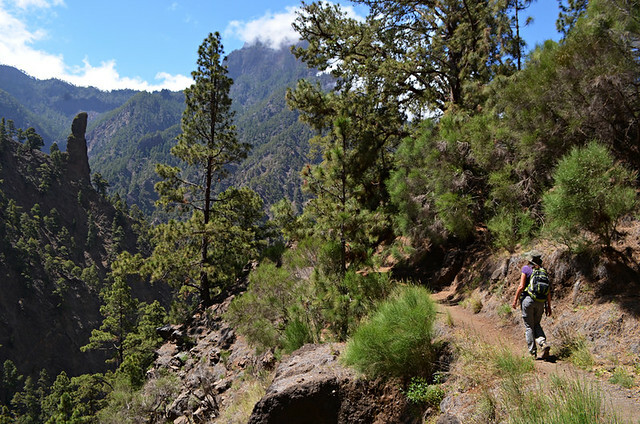 As soon as it was brought under control we jumped on a plane to La Palma for the fourth time in a year to evaluate how how much the fire had impacted on the new walking holiday. First impressions driving from the airport to El Pilar on La Palma’s spine was the east side of the island was looking as lush and beautiful as ever. Surprisingly so. 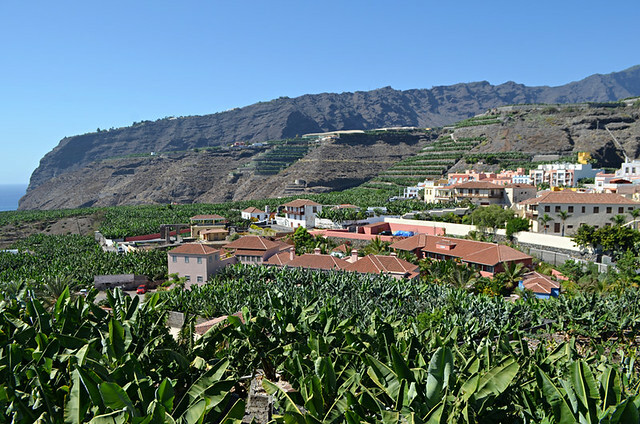 Whereas other Canary Islands were showing the dry and thirsty signs of a long hot summer, La Palma still looked perky and green. 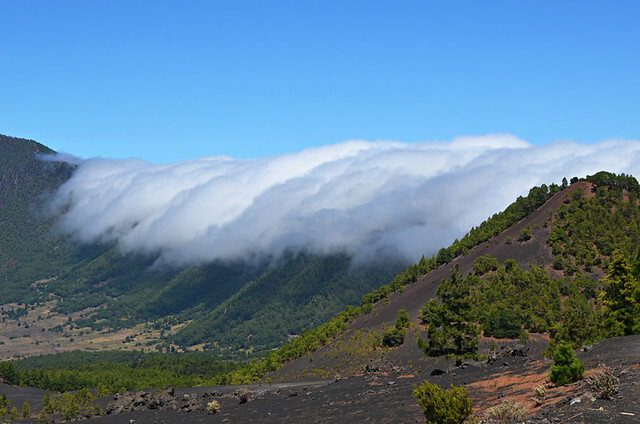 Views from nearby Mirador Llano de Jable over the western side of the island showed volcanic undulations sloping into green pine thickets with a dreamily misty Aridane Valley in the distance. There were no obvious signs of fire damage save for a barrier advising a track heading south was closed. 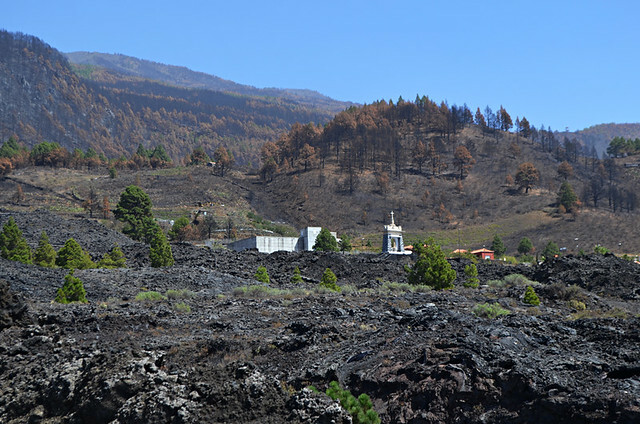 Valentina, manager at the Hotel Benahoare, our base in Los Llanos de Aridane, warned of a more depressing picture around San Nicolás where she lived, which was also where the fire had started and an area a couple of our walking routes passed through. The scene which greeted us in the hills above San Nicolás was quite different from the one we’d witnessed five months earlier. The mix of pines and vines were still there but many trees were autumnal in appearance, their branches burnt copper in colour. Behind them hillsides looked as though they’d developed an aggressive form of alopecia. Amazingly most of the low-lying vines were untouched. Until I saw the impact of a forest fire I’d assumed it swallowed everything in its path. It doesn’t work like that, the fire jumps around so that you can have untouched areas surrounded by sections which have been badly damaged. 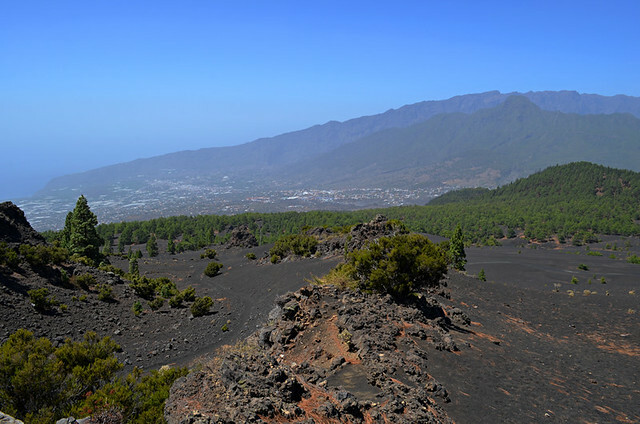 The fire might have spread across 48,000 hectares on La Palma, but it didn’t destroy 48,000 hectares. After perusing maps and talking to forestry workers still tackling the after effects of the blaze, we were able to devise a new route which skirted the area where the fire started. Although along most of the revised route people wouldn’t be even aware there had been a fire, we felt it did no harm to expose visitors briefly to what the consequences of a careless moment can be. Talking to more forestry workers in the El Pilar recreation zone, which was closed but not damaged, the mood was one of cautious optimism. 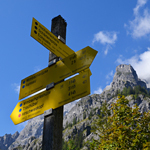 By the time the walking season began in earnest in late September/early October they expected more routes affected by the fire to be open. 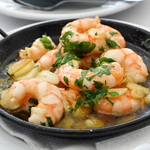 A brief diversion to the coast to lunch on a mountain of tiny, crispy squid at Puerto Tazacorte showed that the lower Aridane Valley with its combination of pastel coloured houses and glistening banana palms was as beguiling as ever. Most fire damage was visible along the coast leading south. 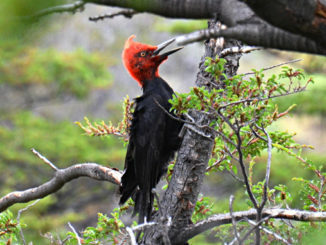 Our journey from Los Llanos to Fuencaliente passed through copper trees with blackened trunks where the smell of burnt pine still lingered in the air. Even then it wasn’t complete devastation; there were relatively untouched sections. The charred forest might be shocking for anyone who hadn’t seen the aftermath of wildfires, but after the horrendous images we’d witnessed during the worst of it, the reality wasn’t as bad as expected. The fire petered out immediately above Los Canarios, its proximity to the town must have been terrifying. But the firefighters did what they often seem to do, the impossible, and stopped it before it destroyed a town. The volcanic cones and lava fields below the town remained untouched, looking as surreal as they’ve done since 1971 when Teneguia erupted. From Fuencaliente we drove back to the airport along the south east coast which, apart from a few telling brown splodges, had escaped the worst of the fire. The aftermath of a forest fire of this magnitude is always heartbreaking to see. However, it wasn’t as severe as we’d expected. The most beautiful parts of the island had escaped. It was a great relief to find La Palma was still deserving of its La Isla Bonita tag.